We live in a weird world, where comic books have come to life on-screen in some really successful ways. They’re mainstream now, with most of the top-earning movies of all-time being comic book films. But it wasn’t too long ago that movies were disconnected and the quality was really low, where we’d get standalone movies like Catwoman and Hulk. If you need some history for Venom, our title character is the polar opposite of the hero Spider-Man, even wearing the same spider icon on the chest (in the comics at least). However, Sony is choosing to create a series of Spider-Man films that … won’t feature Spider-Man. This film, about his most popular villain, is completely disconnected from the Marvel Cinematic Universe. 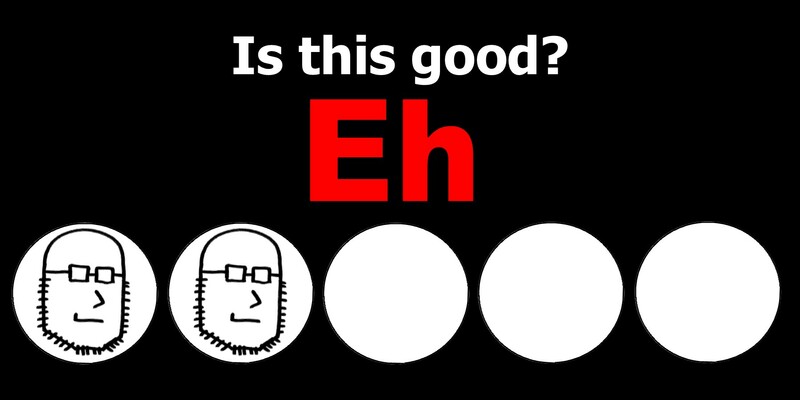 I’m going to review Venom without considering this. It would have been great to have these worlds connected, as they should be, but that’s not the case. So, on its own, is Venom a good movie? Eddie Brock (Tom Hardy) is a popular investigative journalist on televised news. His girlfriend (Michelle Williams) is a lawyer, working a case involving what’s called the Life Foundation, ran by an eccentric genius (Riz Ahmed) who wants to find a way for people to survive in space after the Earth is inhabitable. The Life Foundation discovers these alien beings called symbiotes which can latch onto a host and ideally allow them to survive on other planets, though the side effects include this symbiote taking a very active role in the host’s life. 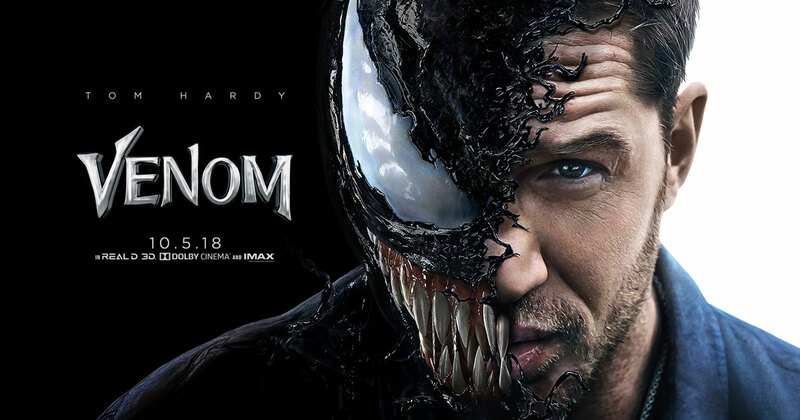 Brock is accidentally exposed to one, named Venom for some reason, and his life is turned upside down as he must battle this alien’s inner thoughts and urges. The most important piece of this film is Venom himself. He’s such an exaggerated character, both in look and personality, that it might seem impossible to bring him to life. I want to give credit to Venom’s design here, that he looks great. He’s imposing, he’s threatening, and the symbiote is used in interesting ways, meaning the fight sequences can be quite cool. I also appreciate the attempt to make this film into a horror film. It doesn’t work most of the time, but there are glimpses into what could have made this movie really special, it’s just not executed properly. Director Ruben Fleischer made Zombieland almost ten years ago, but since then he’s been doing comedies and episodes of television, so his horror chops feel a bit out of practice. I’ve seen a lot of people giving praise to Venom because they love the character. I’ve seen people trash on this movie because of its lack of Spider-Man. I’m going to zoom out and look at this as a film without comic book context. This movie is bad. You might have a fun time, you might enjoy moments, but at almost every level this film fails. Venom somehow manages to be really boring. We don’t see the Venom character for almost 45 minutes. We spend our time with Tom Hardy, who gives a strange performance that feels out of place for the horror tone it’s trying to achieve. We also get zero context for who this symbiote is, there’s absolutely no “here’s why they’re here” or “here’s what they want,” the symbiote suit exists in this movie to purely do cool things but without any sort of context or explanation. The movie also uses the symbiotes in different ways that all feel somewhat contradictory. Venom, who can communicate and looks humanoid and even understands human slang, is very different than a symbiote who grafts onto others and it turns them into zombies, mindless and shuffling across the globe, from Malaysia all the way to San Francisco somehow. Our supporting characters are both useless. Michelle Williams is the love interest, kind of, but has zero chemistry with Tom Hardy and ultimately serves no purpose in the story or his evolution as a character. Likewise our villain played by Riz Ahmed is a disappointment too. He’s not scary, he’s not menacing, and even his motivations are unclear. He seems obsessed with leaving Earth but we have no idea why. Let me talk about the visuals. The main visual effect is that of the symbiote. While not being a suit, it seems to be a liquid, but it doesn’t look like a liquid. At one point, it latches onto someone’s chest and is absorbed through their shirt but just disappears, instead of leaving any sort of residue or anything. 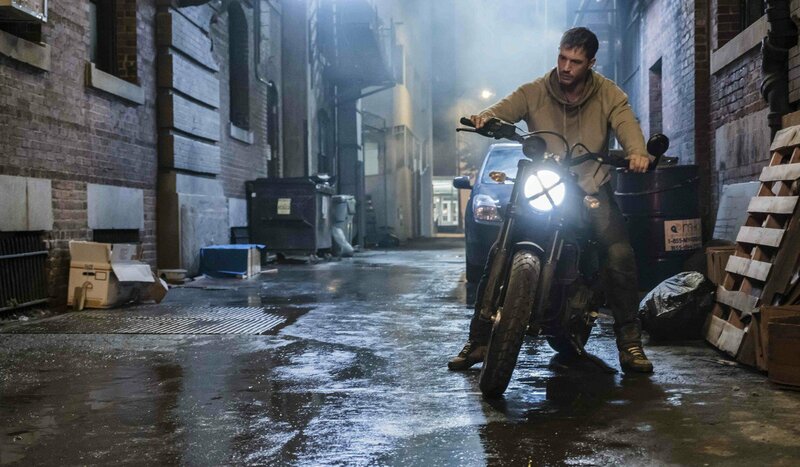 The symbiote also appears as flashes, mostly when Venom is fighting for control over Tom Hardy’s body. It flashes and covers his face, terrifying people around him. But then other times, it must creep over his head and cover his face like a mask. So the rules of what these symbiotes are and what they’re made of are loose and unclear. I know it’s an alien, so our rules of physics may not apply, but it doesn’t seem to have any set of rules whatsoever. Because of this, our fight scenes also get confusing, especially once Venom starts to battle other symbiotes. It turns into a Transformers fight scene, with moving pieces and quick edits, resulting in a climax that is confusing and frustrating to watch. This movie is also only PG-13, so the fight scenes never show you the brutality that you’re expecting. Venom bites off multiple heads but we don’t see a drop of blood in the entire film. It cuts and never shows you any sort of impact. One major fight scene has smoke grenades so you conveniently only see flashes of Venom. This means that most fight sequences are underwhelming, disappointing, and unmemorable. I wanted to love Venom, I really did. Unfortunately, it didn’t hit the mark for me. There were people in my theater laughing and clapping, so this movie is obviously for someone. For me though, I found the storyline a bit boring, the visuals underwhelming, and the PG-13 rating to undercut the movie’s potential. Tom Hardy delivers a performance that I found grating and Riz Ahmed is incredibly boring as our villain. I’d say that fans of the comics might have a better time, but I’ve been a fan of Venom since I was a kid, and this movie still fell apart for me. This entry was posted in Movies and tagged 2018, comic books, comics, i am your target demographic, iaytd, marvel, michelle williams, movie review, review, reviews, riz ahmed, spider-man, spiderman, tom hardy, venom, venom movie, venom review. Bookmark the permalink.